Looking for something more than a workshop? Why not consider one of our extended online courses! 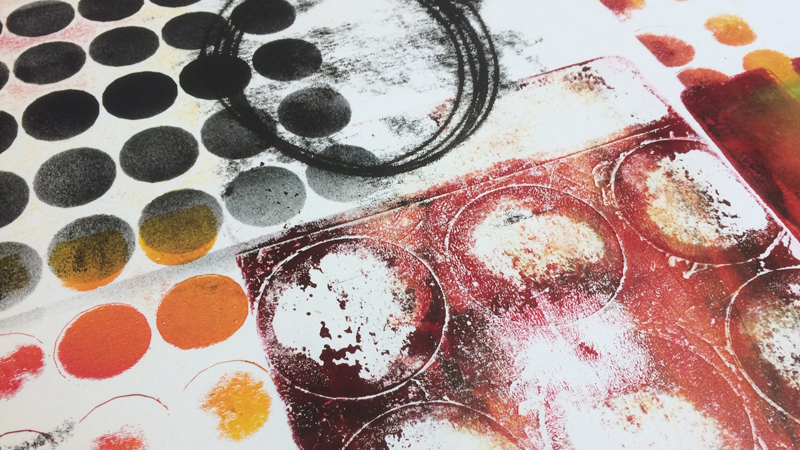 Here at DesignMatters we have offered a range of creative art and craft courses for over fifteen years. 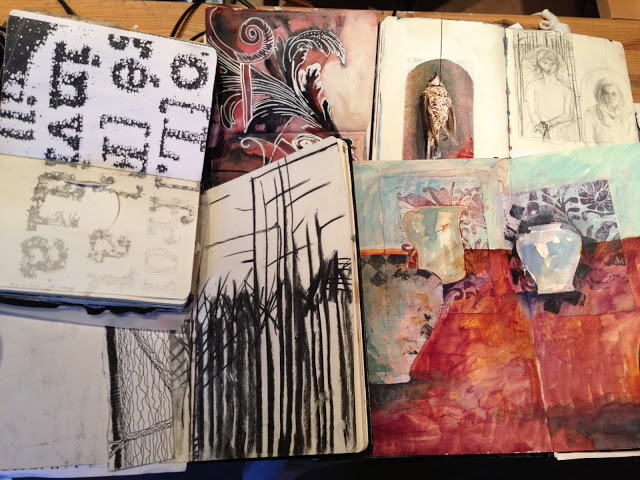 Creative Sketchbooks is currently open for enrolments so if you’re looking for help getting started with working in sketchbooks, or are simply looking to improve your existing practise within a structured course Creative Sketchbooks could be just what you’re looking for. Our online courses are written by us and guide you through the creative processes in depth with many practical activities and challenges. The course information is presented as a combination of video demonstrations and a printable workbook. The thorough workbook contains clear directions along with numerous step-by-step and inspirational images. Work from home and at your own pace. Suitable for beginners or those with more experience looking to work within a structured course. Talk to Linda and Laura whenever you want to via email. Talk to fellow students and share your work and inspiration in the Gallery. Most courses come with a starter pack of tools and materials. Here are the courses currently open for enrolment. As soon as you sign up you’ll have instant, lifetime access to the course materials. And if your course comes with a starter pack, we’ll pop that in the post to you too! Click on the links below to find out more about what we cover in that course and the pricing.